Inducted into both the Country Music Hall of Fame and Rock and Roll Hall of Fame, winner of a Grammy Lifetime Achievement Award, and a Kennedy Center Honor, Johnny Cash on September 12, 2003 left the physical planet at the age of 71. His status in the last decade has only grown as a musical, spiritual, literary and retail influence. Cash and I have the same February 26 birthday. In 2006 his final studio album, American V: A Hundred Highways went to number 1 on both the Pop and Country charts. In 1975 I conducted an interview with Cash in Anaheim, California for Melody Maker and Johnny commented about choosing songs to record and perform in his live concert repertoire. The Columbia/Legacy label has released a slew of stellar Cash CD reissues and box sets this century. Many Greatest Hits and Best Of packages are constantly available. In 2012 the company pressed up Johnny Cash-The Complete Columbia Collection. Containing 61 distinct album packages (single and double CDs, totaling 63 discs overall) housed in a box with a lift-off cover. 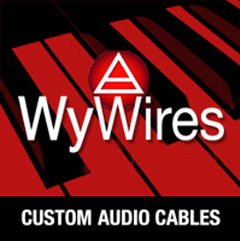 The deluxe product also follows up the critical and commercial success of The Johnny Cash Bootleg Series, which has presented four historic releases to date. Released in April, the most recent title in the series is The Soul Of Truth: Bootleg Vol., IV, which includes 51 gospel-themed recordings. In addition, a couple years ago, Johnny Cash — The Great Lost Performance was stocked by Island/UME Records. It’s the first-ever CD release of a classic 1990 live show, remixed from the original multi-track tapes, with several songs Johnny rarely performed live. Cash and his revue were captured on stage at the Paramount Theatre in Asbury Park, New Jersey on July 27, 1990. The album contains the only concert version of “Life’s Railway To Heaven,” (the studio version was released posthumously). Also worth investigating is The Johnny Cash Project, a global collective art project now displayed at: thejohnnycashproject.com. Participants from all over the world were incorporated into this endeavor initially developed around a music video for “Ain’t No Grave” that were strung together and integrated in sequence over the song. New people are encouraged to contribute so this living portrait evolves and is never the same video. The Johnny Cash Project is a collaboration between the Cash Estate, record producer Rick Rubin, Radical Media and digital media artist Aaron Koblin, who leads the Data Arts Team at Google. 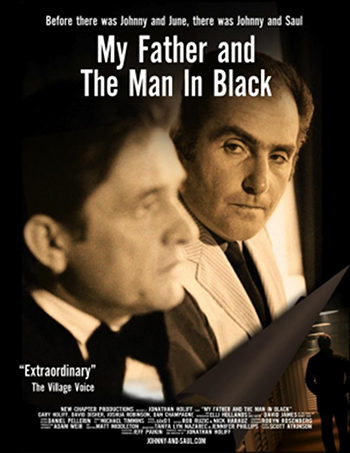 In October 2013 the documentary, My Father and the Man in Black, a film by Jonathan Holiff was distributed on DVD by Passion River Studio after a critically acclaimed film festival and theatrical run. Holiff was a talent agent at William Morris for a couple of years, later operating a celebrity endorsement agency for fifteen years. Long before there was Johnny and June, there was Johnny and Saul, from 1960 to 1973. My Father and the Man in Black is a movie that features one of the 20th century music’s known icons while also telling the inside story of Johnny Cash, his talented but troubled manager, Canadian impresario, Saul Holiff, and a son Jonathan, named after Johnny Cash, seeking his father in the shadow of a legend. Following his dad’s 2005 suicide, filmmaker Holiff discovers hundreds of letters and audio diaries, including recorded telephone calls with Johnny Cash during his pill-fueled 1960s, triumphs at Folsom and San Quentin, marriage to June Carter, and his conversion in the early 1970s to born-again Christian. Director, writer and producer Holiff, over seven and a half years, has assembled these items for a revealing behind-the-scenes view of the complex relationship between Cash and his long-suffering manager, both struggling with personal demons. The utilization of never-before-seen footage, artifacts, believable re-enactments and voice-over narration serve as a catharsis for its maker. Now out is a definitive biography of the Man in Black, Johnny Cash: The Life. Published by Little, Brown and Company, written by author Robert Hilburn, the former music editor of The Los Angeles Times. Hilburn tells the complete story of Johnny Cash for the first time. Of the many great rock and country arrivals in the 1950s, Cash was one of the few who approached his music as more than hits for the jukebox. He wanted to inspire and up lift people. As Hilburn illustrates, Cash was the crucial link between Woody Guthrie’s music of social idealism in the 1930s and 1940s and Bob Dylan’s music of revolution in the 1960s and beyond. Singing of love, loss, hardship and faith, Cash was one of the first artists to recognize that he could use his music and fame to impact social attitudes, and offer hope to those downtrodden by society. Hilburn shares a trove of never before seen material, straight from the singer’s inner circle of family and friends. Q: When did you first have the concept of doing a Johnny Cash book? Obviously I know you covered Cash’s career as a pop music critic for The Los Angeles Times for 40 years. Why did Johnny Cash always speak to you? You began your journalism career first as a country music reviewer. A: That’s true. I wanted to write about pop music in the late 1960s and contacted the Los Angeles Times and they gave me some free-lance assignments. 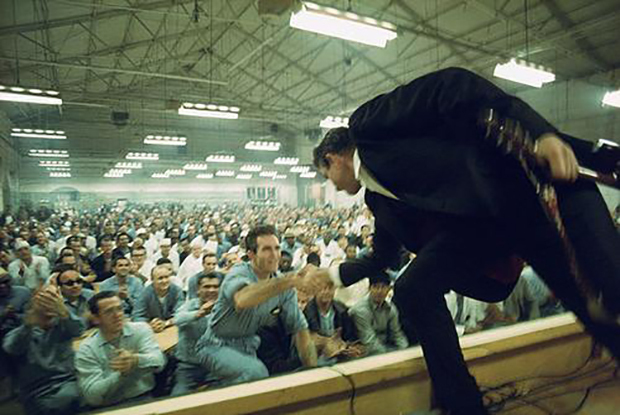 One of them was going to Folsom Prison in 1968 to cover what turned out to be John’s landmark concert. I felt an immediate rapport with him, partially because we both came from small towns in the South (in my case it was the Natchitoches — Campti area of central Louisiana) and we talked a lot about what it was like transitioning to a larger world. After I was hired by The Times, I continued to do stories on John from time to time—including an interview at June’s childhood home in Virginia — just months before her death. I didn’t think about a book until after John’s death when I saw the movie and read some books about him and realized how much more there was to say. Q: Besides decades of trust and reporting of Johnny Cash, from being at the Folsom Prison live recording in 1968, and later in attendance at some of his last ever shows, why do you think the inner circle of Cash and his family opened up to you? A: I think it was because they knew I had a long association with John and his manager, Lou Robin. It wasn’t like a stranger coming into the Cash world. But even with my long association with John, it was hard to get a few people to talk because they were, in a sense, gun-shy. They had been interviewed so many times since John’s death and they didn’t always like the way their observations were presented. It took, for instance, a year before Marshall Grant agreed to an interview. But I did see him and he was invaluable in helping me understand, among other things, the Sun Records timeline. Things went so well that we were planning to get together a second time, but Marshall died before we were able to do it. Q: You covered Johnny and June for the paper and saw them perform countless times. You had some archive interviews. Did you start with a self-designed outline? Was chronology always a factor? A: Absolutely. I wanted to do a formal autobiography….which meant starting from the beginning rather than trying to take some dramatic incident and make that the first chapter. I noticed that most serious biographies start at the beginning and I wanted the book to serious, though always readable. I think Cash is an enormously important artist and social icon. I wanted to treat him the way historians treated major figures. 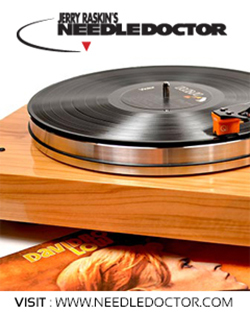 I wanted this to be able to sit on a “biography” shelf in a record store, not just a “music” shelf. Q: After doing the book and through the journey, what strikes you more about the Cash records on Sun label than when you first heard them? A: The quality of the best songs. As a teenager in the 1950s, I just liked Johnny Cash’s records because I liked the sound of them—as well as the drama of a song like “Folsom Prison Blues.” But now I can see what a great songwriter he was and how even then he was trying to forge his own path. Not always, he wrote a few songs strictly for the jukebox, but the best of the songs were extraordinary. I’m speaking of songs like “Hey, Porter,” “Folsom Prison Blues,” “I Walk the Line,” “Big River,” “Give My Love to Rose,” “Come in Stranger” and more. 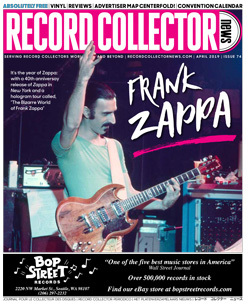 Q: While doing the book, and examining his Columbia Records catalog, the book sort of reinforces that once Johnny had hit records he could do a variety of different albums for the label. A: Yes, one of the big reasons John left Sam Phillips for Columbia was he wanted artistic freedom, which is something Columbia promised—and it eventually came back to haunt the label because they wanted hits and that wasn’t the primary thing on John’s mind. Again, he wanted to make music that lifted people up—music that reflected his fascination with people and their struggles; hence so many songs about the Old West and the working man and Native Americans. John wanted to make music that mattered to him; Columbia wanted hits. The issue came to a head in 1963 when his Columbia contract was due to expire. Columbia was going to drop him, but Don Law, who signed John and produced his records, talked them into one more session. They came up with “Ring of Fire” and Columbia did renew the contract. If he hadn’t come up with a hit in that session, Columbia, in fact, would have dropped Johnny Cash. Q: Johnny lived for many years living in Ventura County and then Encino. 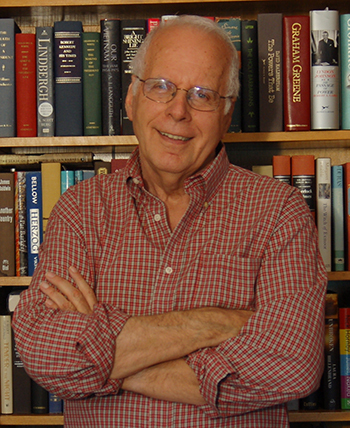 For decades, books and articles really minimize his years in California. Johnny was always on Town Hall Party, a TV show done in L.A. And, Johnny Cash brought a country music show to the Hollywood Bowl. In 1957 at a party in California Johnny first met British-born record producer Don Law who first suggested to Johnny that he join the Columbia label after his contract with Sun expired on August 1, 1958. Johnny Cash Enterprises was located on Sunset Blvd. at the Crossroads of the World complex in Hollywood. A: Johnny moved to California in 1958 because he wanted to go into the movies like Elvis and he wanted to separate himself from the conventional thinking of Nashville, the center of country music. He bought Johnny Carson’s old house in Encino, just down the street from where the Jackson Family eventually set up its compound. John had some happy years in Encino, but gradually things started going bad. His film debut—in a low budget crime story called Five Minutes to Live — was embarrassing, a real disaster. And tensions developed between John and his wife, Vivian, over the career demands that took him away from home so often. Then, the drugs took hold. Looking for a new start, he moved to a small town in Ventura County to escape the glare and pressure of Hollywood. But the tensions and drugs continued. He pretty much stopped coming home. By early 1966, he had pretty much left California and the family behind. He moved to Nashville and spent most of his time with June Carter. Q: Can we talk about the Johnny Cash TV series 1969-1971? How seminal was it in exposing musical talent? The Everly Brothers, Tony Joe White, the Monkees, Roger Miller, Judy Collins, Marty Robbins, Loretta Lynn and others were among Johnny’s personally invited guests. A: Though he was often frustrated by some compromises forced on the show by the network, Cash used the show to express his core values. He brought on musical guests he believed in — not just Bob Dylan, but also Merle Haggard, Kris Kristofferson, Waylon Jennings. He used the show as his pulpit, if you will, to once again lift people’s spirits. He sang lots of songs about small town America and lots of gospel songs. Three tunes — “Man in Black,” “What is Truth” and “Sunday Mornin’ Comin’ Down” — largely defined Cash for a mass audience, and he became a national icon. People didn’t just like John’s music; they believed in him. The timing was crucial. If he had gotten a TV show just two years earlier, it would have been a disaster. America would have seen a desperate drug addict. Instead, they saw a national icon. Q: During my 1975 interview discussion with Johnny for Melody Maker, we also talked about Bob Dylan. Cash remembered the first time he became aware of Dylan with the release of his Freewheelin’ album. Columbia Records A&R man, John Hammond, sent Cash an advance copy in late 1961. A: Bob has told me time and again how much he loved John’s music and his failure to compromise. The bond was so great between then, even though they didn’t spend a lot of time together. Their relationship was more one of mutual inspiration and respect than time spent in each other’s company. Q: The movie Walk The Line took a Hollywood screen angle, but what did you observe about the Johnny and June couple in person or on stage that made that partnership work? A: Marshall Grant told me that if there’s a hero in the Johnny Cash story, it has to be June. John didn’t always treat June nicely; their relationship was stormy in the 1960s and again in the 1970s and early 1980s. June stuck by him because she believed in him and she thought the bad times would pass. Their relationship has usually been presented as a fairytale existence, but it wasn’t really until late in their relationship that you could apply the words fairy tale in any consistent manner. At the end, however, it was a grand love indeed. Q: All the Cash relatives and children participated in this book with you. What were these interviews like? Were some forthcoming while others guarded? There is so much documentation available on Johnny. Did they want to give you something different and be accessible? A: Some of the relatives were very guarded; they only wanted to see John’s life in rosy terms. But a strong core of the relatives, including John Carter Cash and most of the daughters, wanted the full, accurate story told. Rosanne was particularly strong on that point. I made it clear the book itself would be totally my judgment. No one had any sort of veto power. Q: Record producer Bob Johnston is an important figure in Johnny’s records on Columbia since 1967. Bob’s recording methods had impact on Johnny. A: I spent a lot of time with Bob and I believe he deserves an enormous amount of credit for the Folsom Prison album and some of the other albums he did with John. He not only helped John believe in himself at a time when the drugs and other problems had left him vulnerable, but he organized the Folsom tracks and San Quentin tracks in a way that maximized their impact. Q: Can you discuss the Cash and Kris Kristofferson friendship and recording collaboration? A: John was one of the reasons Kris wanted to move to Nashville and pursue songwriting. Kris also found John a fascinating subject for some of his songs, including “To Beat the Devil” and “The Pilgrim Chapter 33,” which is as compelling a portrait of John as you can find anywhere. The interesting thing is how long it took John to actually record one of Kris’s songs. John took an immediately liking to Kris, but he didn’t seriously think about recording a Kris song for years. He had known and passed on even “Sunday Mornin’ Comin’ Down” for a long time before finally recording it, and the song seemed perfect for John. Once he started believing in Kris, however, John loved his music and took every opportunity to record another Kris song. He even took Kris with him to Newport one time to help Kris find a bigger audience. Their friendship was profound and deep. 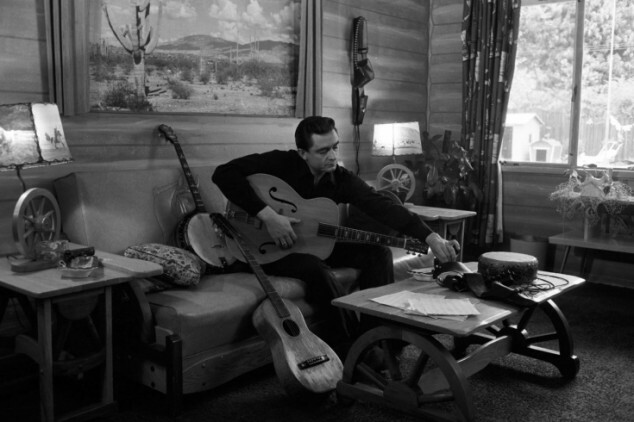 Q: The legacy and the myth of Johnny Cash have grown since his work with producer Rick Rubin and his American Records. Your book details the Trent Rezner-penned “Hurt” and subsequent Cash/Rubin studio collaboration and the well-played video of the song. What did Rubin deliver besides getting Johnny back on the charts? Q: What is the world of Johnny Cash? I do realize many Cash fans and record collectors first became aware of him from the “Hurt” record and video. There is a younger demographic buying his catalog. A: That’s true about younger fans learning about him from “Hurt.” In fact, W.S. Holland, John’s long-time drummer, said something that surprised me. Realizing the tremendous emotional impact of the “Hurt” video, he said, “You know, Johnny Cash may someday be known more for that video than the records we made.” And there may be an element of truth to that, so I put a detailed guide to John’s recordings in the back of the book — so that someone who did come to John’s music via “Hurt” could have a blueprint to what was important before “Hurt,” but I also wanted the guide to be of help to someone who only knew John’s music from the Sun or Columbia days to pursue the best of his work with Rick. As for legacy, I think John — beyond the great music he left with us — pointed out the importance of an artist standing for something…not just making music for chart position. He always wanted hits, but he most wanted the music to have a meaning — to himself and his audience. That’s something he shared with a lot of people who followed him in country and rock, but it was pretty revolutionary for country and rockers in the 1950s. It’s also a lesson that is doubly important today, when so much of the music that does make it onto the airwaves and onto the charts seems to have so little meaning—other than simple entertainment. Johnny Cash wasn’t about simply entertainment. Like Bob Dylan, he belongs with the great American artists, whether they are from the worlds of art, film or music. He told about his life and times with a strong, personal vision. Los Angeles native Harvey Kubernik has been an active music journalist for over 40 years and the author of 5 books, including “This Is Rebel Music” (2002) and “Hollywood Shack Job: Rock Music In Film and On Your Screen” (2004). In 2009 Kubernik wrote the critically acclaimed “Canyon of Dreams The Magic and the Music of Laurel Canyon.” With his brother Kenneth, he co-authored the highly regarded “A Perfect Haze: The Illustrated History of the Monterey International Pop Festival.” They also teamed up for a book with photographer Guy Webster slated for summer 2014. In spring 2014, Harvey Kubernik’s “Turn Up The Radio! Rock, Pop and Roll in Los Angeles 1956-1972” will be published by Santa Monica Press. Art Esdaile, London, Ont. Canada. For anyones interest, I have a song on U-Tube that I wrote about the life of Johnny Cash called “The Tennessee Legend” It is copywrited in my name, but has not been published. The video would have looked better with me playing my guitar, but my hand was injured.